A site about vintage lcd watches, toys and other cool stuff. In my collection of lcd watches I also have a couple of early led watches. 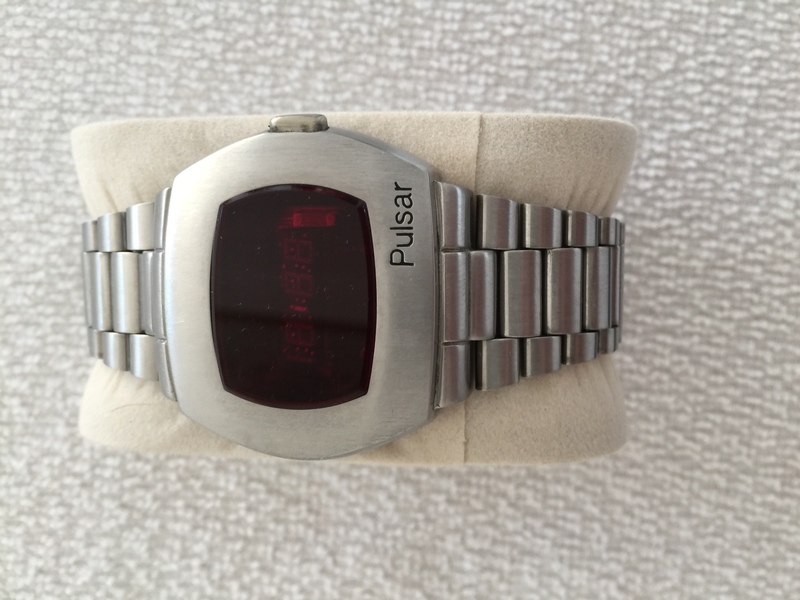 The P2 was the first mass produced digital watch. It shows hour, minutes and seconds, that’s it. The time is set by using a magnet that is stored in the clasp. 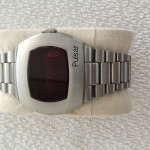 When launched in 1973 this watch was very expensive and had a price tag similar to a Rolex Submariner! Roger Moore wore a stainless steel model of this watch in his debut as 007 James Bond in the opening scenes of the movie “Live and Let Die”.